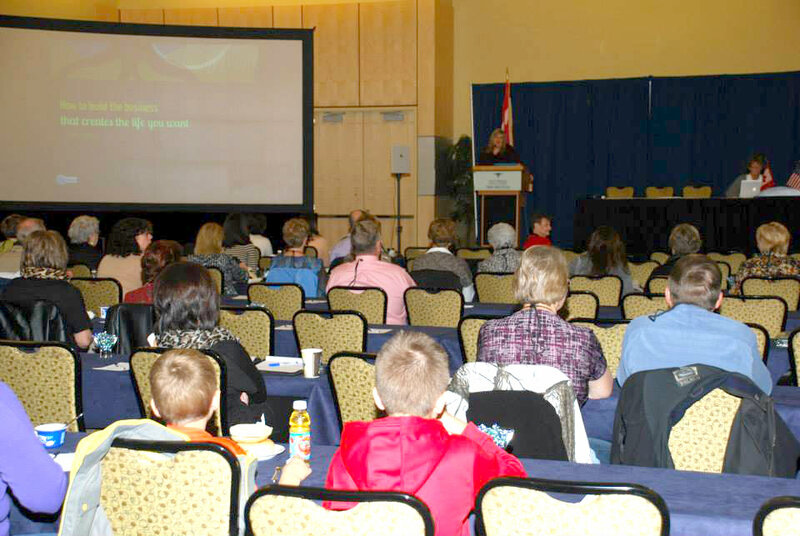 Two weeks ago I had a fantastic time speaking at the national American Agri-Women conference in Niagara Falls. For those of you that haven’t heard of the AAW, it is the nation’s largest coalition of farm, ranch and agribusiness women with over fifty state, commodity and agribusiness affiliate organizations throughout the country. It is an all-volunteer organization, working to advocate for agriculture since 1974. I gave my presentations “Building the Business that Creates the Life You Want” and “Delegating: A Guide to Higher Profits for Control Freaks” to the (mostly) female attendees. I admit I was a little nervous. I thought, “what are these hardworking farmers and agricultural business leaders going to think of an event planner coming to tell them how to run their businesses?” I was wrong. The lessons I’ve learned and the changes I’ve implemented in my business were EXACTLY what these women needed to hear. I administered a little tough love when I made it clear that the only obstacle these business owners had was themselves. They need to set clear boundaries of time and tasks and stick to them…then delegate anything that they are not good at, don’t enjoy doing, or don’t make money doing. That is the only way to enjoy life while running a successful business and leading by example to the next generation of farmers and ranchers. No matter what industry you’re in, you can have a successful business and balanced life! It doesn’t matter if you’re an event planner or a farmer. It doesn’t matter if you’ve been in business one month or twenty years…change the business so that it is serving you! Set personal goals that the company can help you meet. Don’t be afraid to delegate tasks to others and hire help. Make changes as needed to the business…be flexible. I have so much respect for the women in the the agriculture industry and was honored I could share my ideas with them.